“Pop!” - by Rin Simmons. 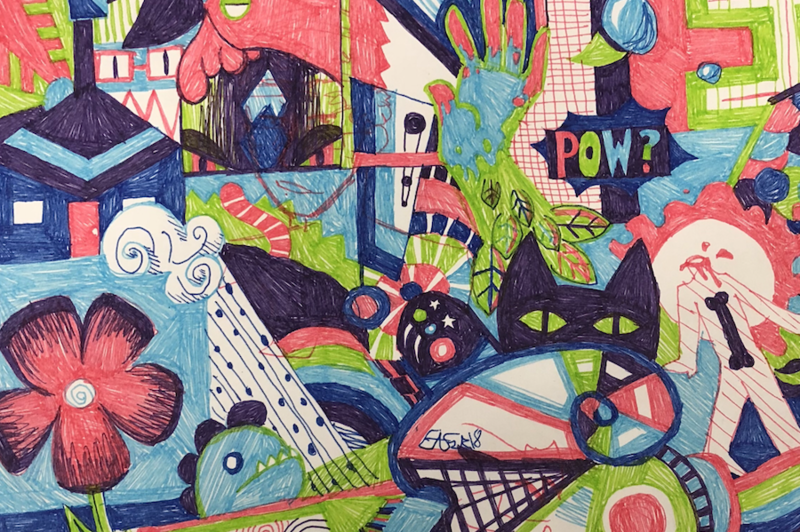 For this piece I took just five pens of mine and filled an entire page in my sketchbook with random doodles using only these pens and nothing else. I wanted to experiment with pens some more, and I wanted to make a full page of color that pops at you, hence the name.